Governor of Ukraine’s Odessa region Mikhail Saakashvili said on Tuesday he plans to reinforce Ukraine’s border with the unrecognized republic of Transdniestria. "We have two major tasks - to reinforce the border and curb corruption. Drug and weapons trafficking across this border mean nothing good," he told a news conference in Odessa. 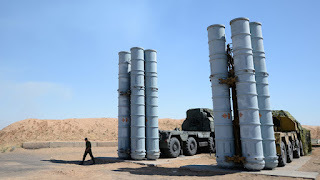 Ukrainian authorities will deploy S-300 antiaircraft missile complexes on the border with Transdniestria - a mostly Slavic-populated breakaway region of Moldova that has existed as an unrecognized Dniester Republic since the early 1990. A report published by Odessa-based Taimer newspaper quoted the Ukrainian Defence Ministry officials as saying the missile complexes will be deployed in the Bolgrad district of the Odessa region. "Officials at the war ministry said the S-300 missiles will ensure defence of the country in the south of the Odessa region on the border with the Dniester Republic," Taimer said. Gia Lortkipanidze served under President Mikheil Saakashvili when he was in power in Georgia. A Ukrainian media outlet now reports that Lortkipanidze will head the Ukrainian Interior Ministry’s Odessa department, the city where Saakashvili is now the governor. His appointment is controversial, as there are questions asked about his background not only by the public in Georgia, but also by UNM members. For years, he was the deputy of Interior Minister Vano Merabishvili (now in jail in Tbilisi), but he never received media attention until the so-called Lapankuri special operation on August 28, 2012. He was one of the leading figures in this operation. 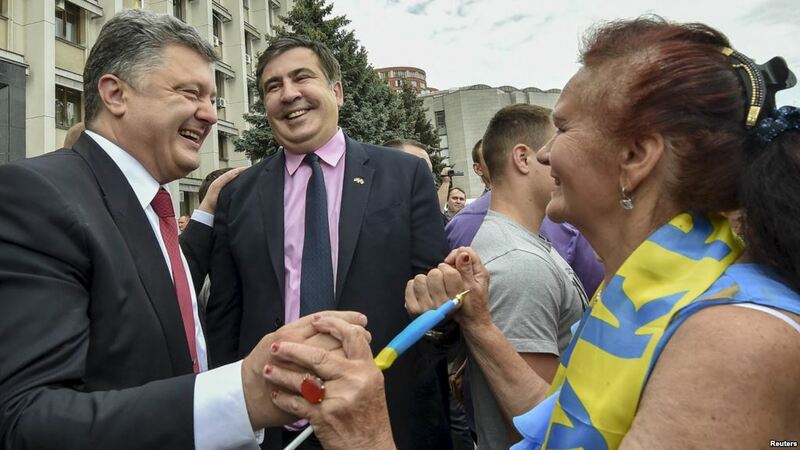 After the police operation, relations between him and Saakashvili, and with Data Akhalaia, became strained. Georgian police on Sunday carried out a special operation in Pankisi, a valley in the northeast of the country mostly inhabited by Kists, who are ethnic Chechens. Omar Al-Shishani, or Tarkhan Batirashvili, one of the field commanders of ISIS, was born and raised in Pankisi. He left for Syria a few years ago to join the war. His father and relatives still live in Pankisi. According to the most recent information, the special operation aimed at detaining those who allegedly have helped Georgians go to Syria, also because of suspected ties to ISIS. 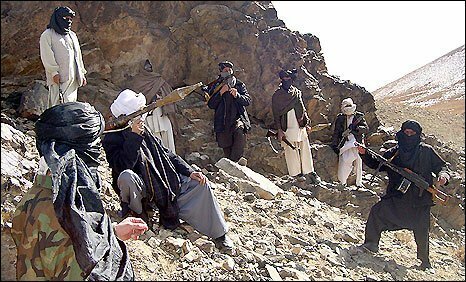 Taliban militants have seized several villages in the Sayad District of northern Sar-i-Pul province. Officials say That Taliban captured these village after a clash with security forces that also left a policeman martyred and a militant killed. A security official said that Taliban launched the attack while security forces were offering Friday prayers. “So, if you hear ever in the coming days, or months, or years that Daesh is on the rise in Afghanistan, and is strong and expanding militarily, it will mean that it is a foreign-backed force intending to destabilize the region, particularly Central Asia, China and Russia,” he added. Karzai put the blame for the rapid expansion of IS on “foreign interference” in Iraq and Syria saying that it was all “the result of events” there. When Abdullah, a Taliban commander in central Afghanistan, needs more rifles and ammunition, he turns to the same people who pay his $580-a-month salary: his Iranian sponsors. Azerbaijan is known worldwide as the Land of Fire, and today Europe is playing with that fire. The result of playing with fire is for Europe itself to decide. But all the recent actions taken by the European countries’ leaders suggest that they aren’t complying with the “don’t play with fire!” rule. The entire world’s attention was focused on the opening of the European Games in Baku. But at the same time, this same place witnessed another important event. The heads of states, which today decide the fate of Europe’s security, gathered in Baku, however, Europe itself, because of its own stupidity, was not represented. The future head of Austria’s OMV Rainer Seele appears to be planning a new route for Russian gas to Europe bypassing Ukraine jointly with Gazprom, according to Austrian newspaper Die Presse. According to the Austrian newspaper, the new route appears to resurrecting the closed gas pipeline project Nabucco – with one major difference: instead of carrying Caspian gas to Europe it will transport Russian and possibly Iranian natural gas via Turkey, Bulgaria, Romania and Hungary to Austria. 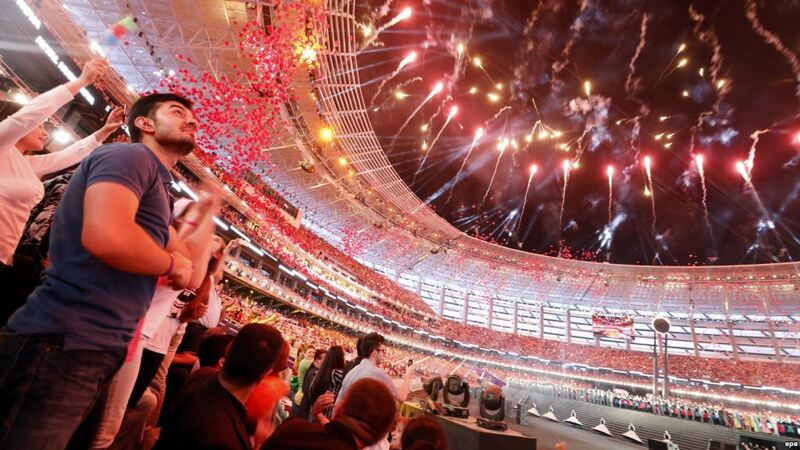 A decision to ban some foreign media from attending the inaugural European Games in Azerbaijan this month rested with the government and was not taken by the event’s organisers, officials said on Saturday. Journalists, including the Guardian’s chief sports correspondent Owen Gibson, have been refused entry visas but organisers of the event in Baku said it was the government who was clearing individuals to enter the country based on their own set of criteria. Apart from media, several representatives from international human rights groups including Amnesty International and Human Rights Watch have also been blocked from entering the country, ruled by the Aliyev family since 1993.